$3,419.99 each List: $6,076.00, You Save: $2,656.01! 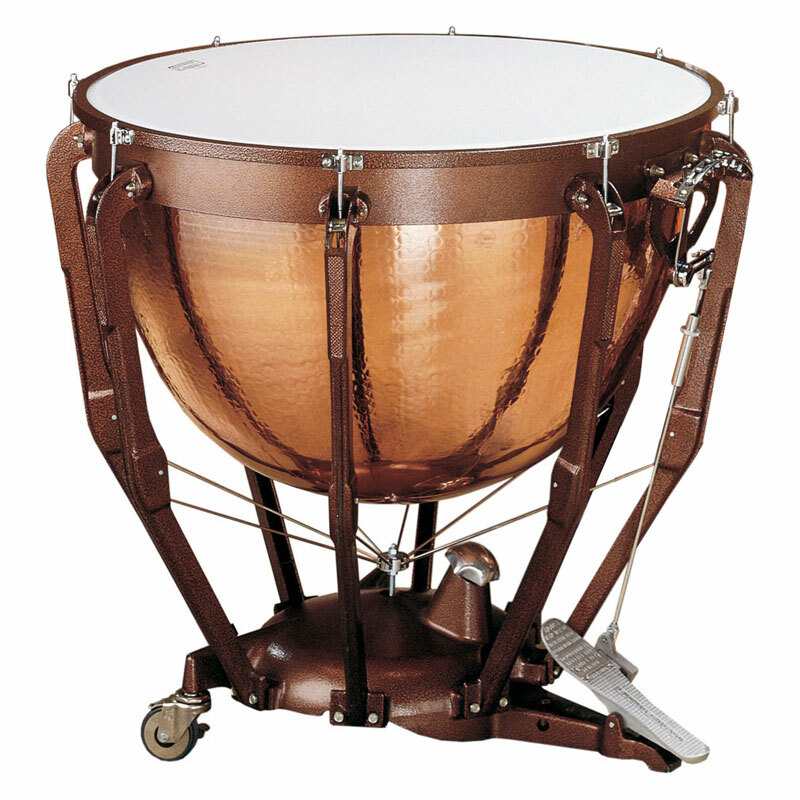 Ludwig Professional Hammered Copper Timpani provide you with rich tone, resonance, and projection worthy of professional symphonies, yet affordable enough for schools and individuals. The parabolic kettles are calibrated to pitch centers that can fill a concert hall and are suspended freely inside of a double-ring system. Each timpano can cover a sixth in interval range, and fine tunings can be made mid-performance with the tension knob on the base. These timpani feature Balanced Action pedals that do not require any sort of clutch, making pitch changes quick and easy - which is especially important for modern pops and wind band repertoire. This 32" covers the low-end range of almost all music written for timpani in both orchestral and wind band literature.